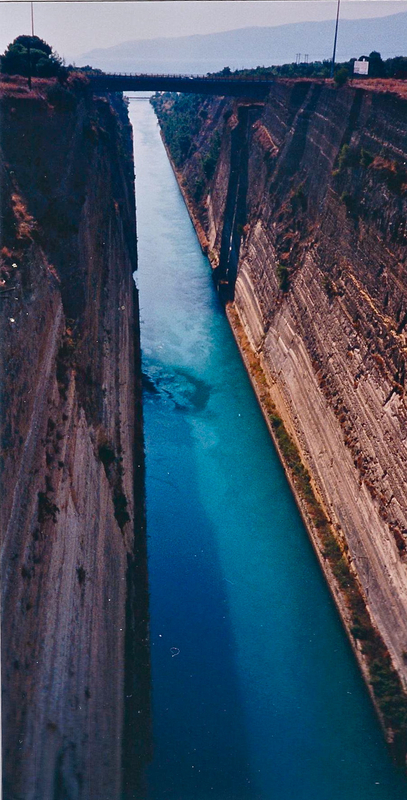 It was on this day 120 years ago that Greece’s long-planned Corinth Canal finally opened. The narrow canal with its high, steep sides is not much used these days. It is too narrow for modern cargo ships (and it really always has been) but sporting craft and pleasure boats do make use of it daily. 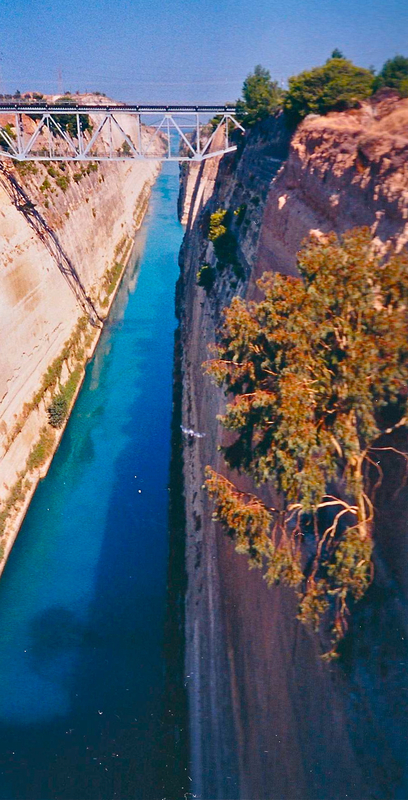 This cleft through the earth at the isthmus of Corinth, which connected the Peloponnesian Peninsula with mainland Greece, may well be the longest-delayed construction project in human history. First proposed in the 7th Century BC, with the proposal being revived several times by various rulers and empires, it would not be until 67 AD that construction actually began under the auspices of Rome’s Emperor Nero. Nero’s death not long after construction began halted further work. However, the idea was revisited many times thereafter. But it would not be until 1881 that construction would resume. Because the 19th Century engineers made use of the cuts and exploratory shafts that had been made by Nero’s workmen, almost all traces of the work done in antiquity were obliterated. But for that same reason, one may rightly consider this canal work to be the direct completion of what Nero started. Thus we have what is possibly the longest construction delay in human history, a delay of some one thousand eight hundred twenty-six years between commencement of the project and completion! 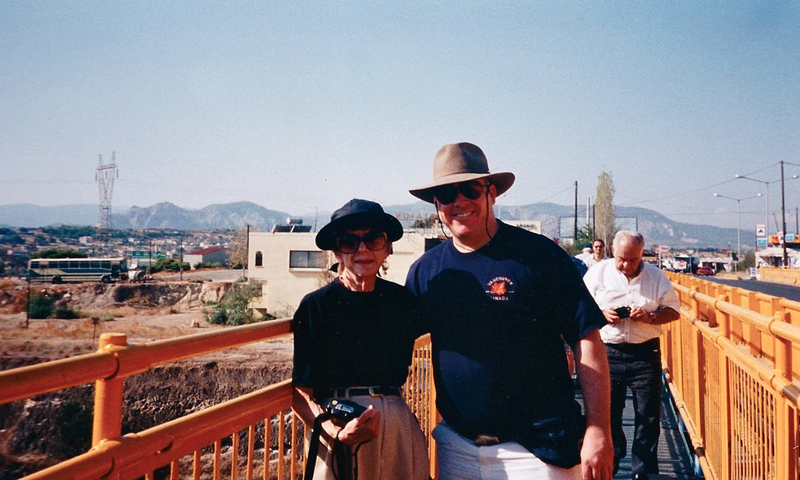 Mom and me on the footbridge over the canal, September 1997. Looking eastward from the footbridge. Looking westward from the footbridge.